Go big or go home, right? LeEco threw a heck of a lot at the proverbial walls today during its big event in San Francisco designed to introduce the so-called “Netflix of China” to the US. It’s a lot to take in, particularly for those who had never heard of the company until now, but at least the its mobile devices are reasonably straightforward. The company showed off two new smartphones destined for the States, led by the Le Pro3 – its first to be offered up here in the US, after offering up a number of devices in its native China. Key specs for the handsets include the same Snapdragon 821 processor you’ll find in premium devices like the Google Pixel, alongside a 5.5-inch display and a rear-facing 16-megapixel camera. It measures 7.53 millimeters thick and features an impressively beefy 4070mAh battery, 4GB or RAM and 64GB of storage. Most compelling of all is the pricing. The phone will run $399, significantly slashing the Pixel’s cost. The company will also be offering up a lower-end 5.5-inch device, the Le S3. That handset features a Snapdragon 652, 3GB of RAM, 32GB of storage and a 3,000mAh battery. That phone is priced at $249. 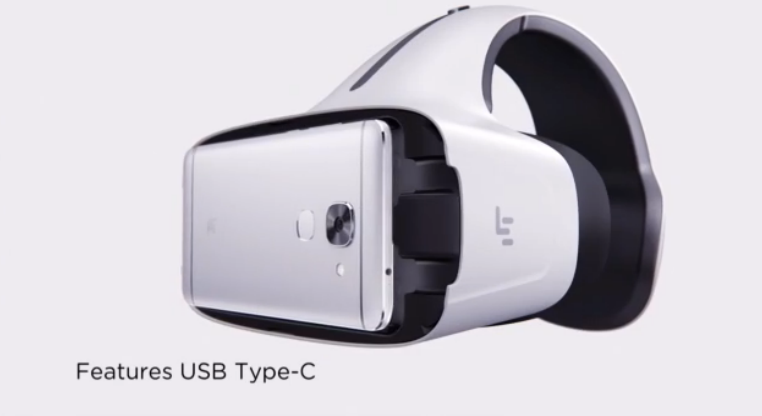 And, of course, you can’t probably disrupt the mobile industry without launching a VR headset. The ExploreVR looks to a Gear VR competitor, complete with a USB C connector that plugs one of the company’s smartphones into the front of the headset. There are a number of sensors built-in, including a gyrometer, accelerometer and magnetometer and a proximity sensor. We’re still waiting for pricing and other details on that one.